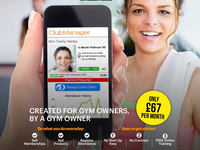 ClubManager works with Gyms, MMA's, Gymnastics, Personal Trainers, Bootcamps, Dance schools, Football & Rugby and Leisure Centres. StudioBookingsOnline is made for the small to medium sized fitness and wellness studio owner. 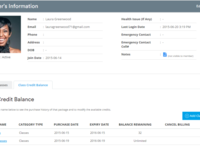 It's designed to be very easy to use for both the studio owner and their members.